You can now register for classes on-line! Just click on the Click here to Register link below and once on the new page click the I Need to Register Button to provide an email and password for login. Monthly tuition is due each month for the dance year from August to May. Tuition is based on the total number of hours danced in a week by one student or by siblings. When taking a 45 minute class, tuition is a set amount. It is not applied to the total number of classes taken in a week. Tuition is payable each month. Tuition is due the first lesson of each month and late after the tenth of the month. A $10 late fee will be applied for each month tuition is paid after the tenth of the month. An invoice will not be sent unless payment is late. Tuition is based on an average of four lessons per month (for a one hour/week class). There are certain holidays when the studio is closed and some months will have more than four classes. This balances out throughout the course of the year. own registered class. A $15 fee will be charged for all returned checks. There is a non-refundable registration fee for the dance year. The fee is $30 per dancer. This fee must be paid at the time of enrollment and cannot be prorated. This fee is non-refundable. The annual dance shows will be on June 7th and 8th, 2019 at Capuchino High School. Each dancer that participates in the show must purchase a costume for each dance. Costumes range in price from $40 to $80 per costume. 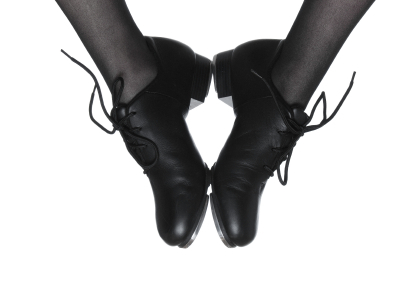 Certain shoes may be required as part of the dance costume.